McKinley had her first play date! YAY! I’ve been dying to get her out and meet some other babies & children. It’s hard sometimes. The hours go by fast. Diaper changes, eating, toys, cleaning, eating, napping… it’s this cycle. I’m seriously like one of those rats in the wheel. Just goin’ through the motions ya’ll. Okay, I’m starting to ramble. 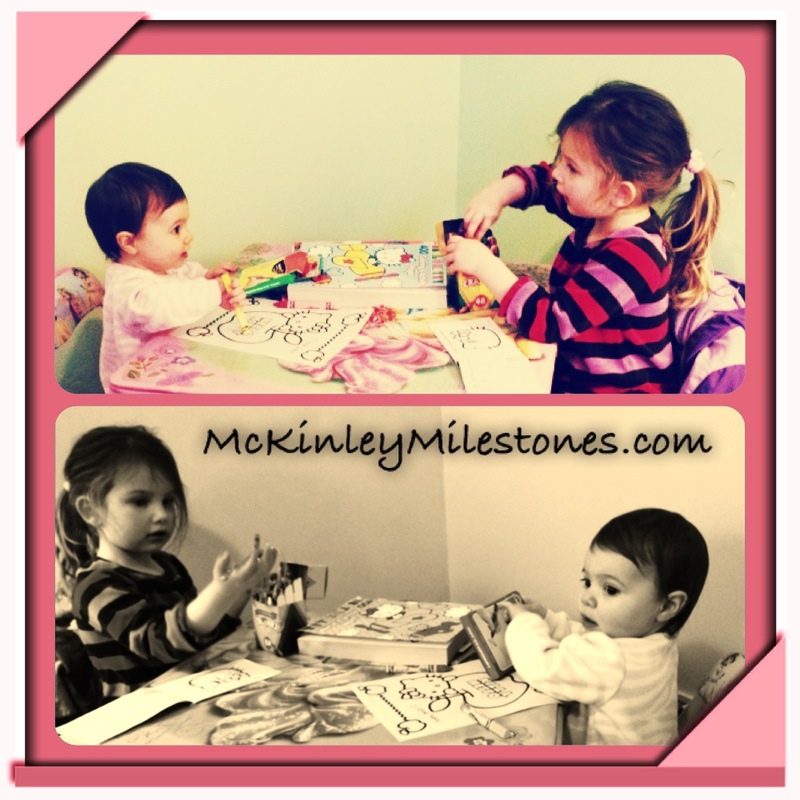 McKinley had her first play date with Amalie! Amalie (almost 4) was such a kind host. She gave McKinley and I a tour of her bedroom and introduced us to all her special animal friends. 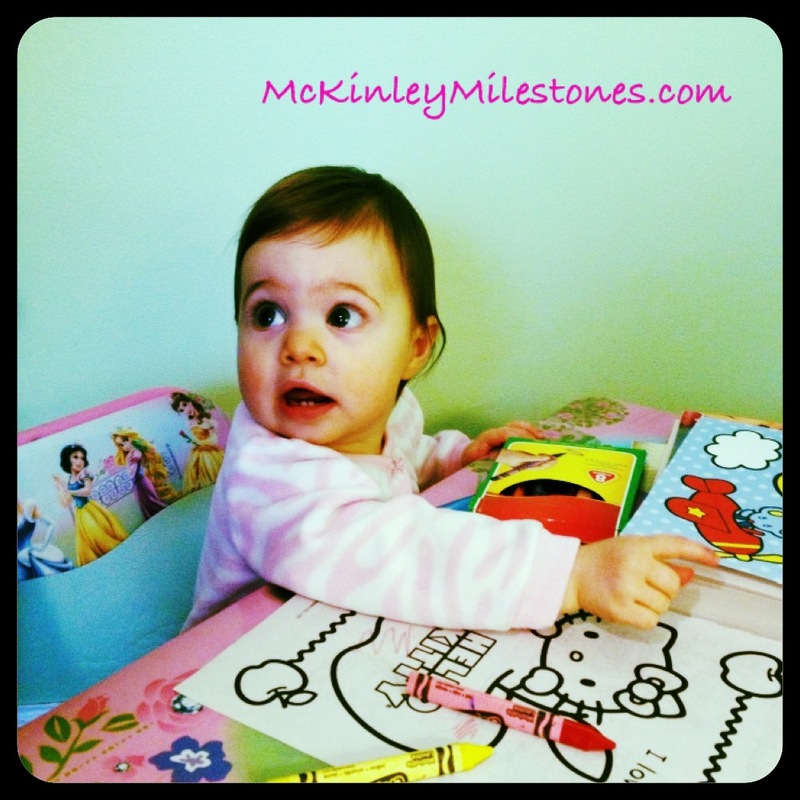 McKinley and Amalie spent a good portion of their play date coloring in Amalie’s Hello Kitty coloring book. 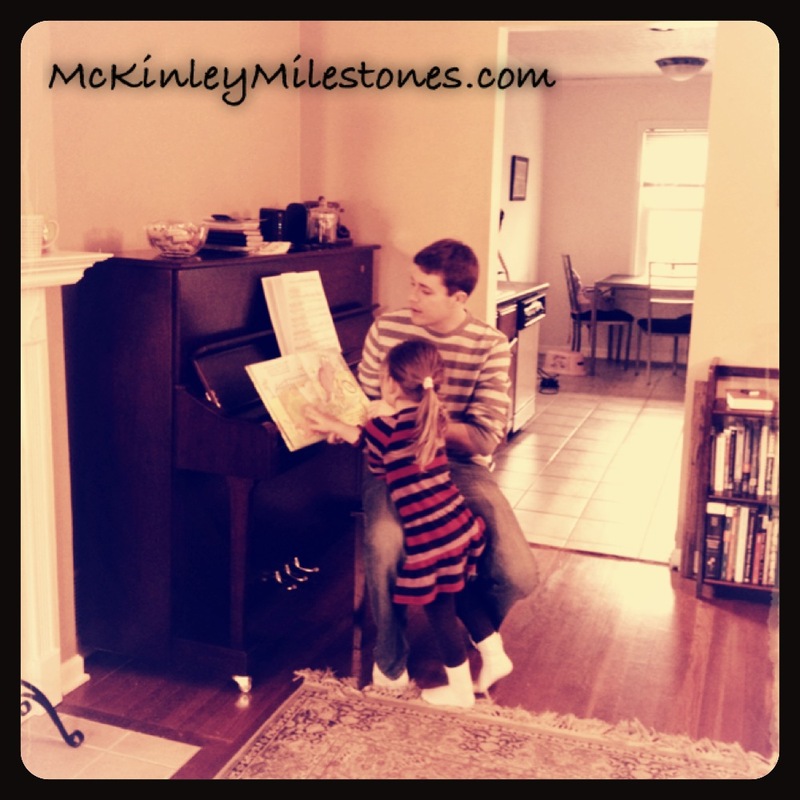 Later in the play date Jordan (my husband) read the “Stinky Book” (which is a scratch and sniff of stinky smells). I was editing the photos and realized that Amalie and Jordan were matching in stripes! McKinley also met their cat, but I don’t have a photo of it, or remember the name. Opps. However, I am left with the high pitched excited sound McKinley makes when she sees an animal or another baby. It’s one of those like shocking but heart warming sounds. 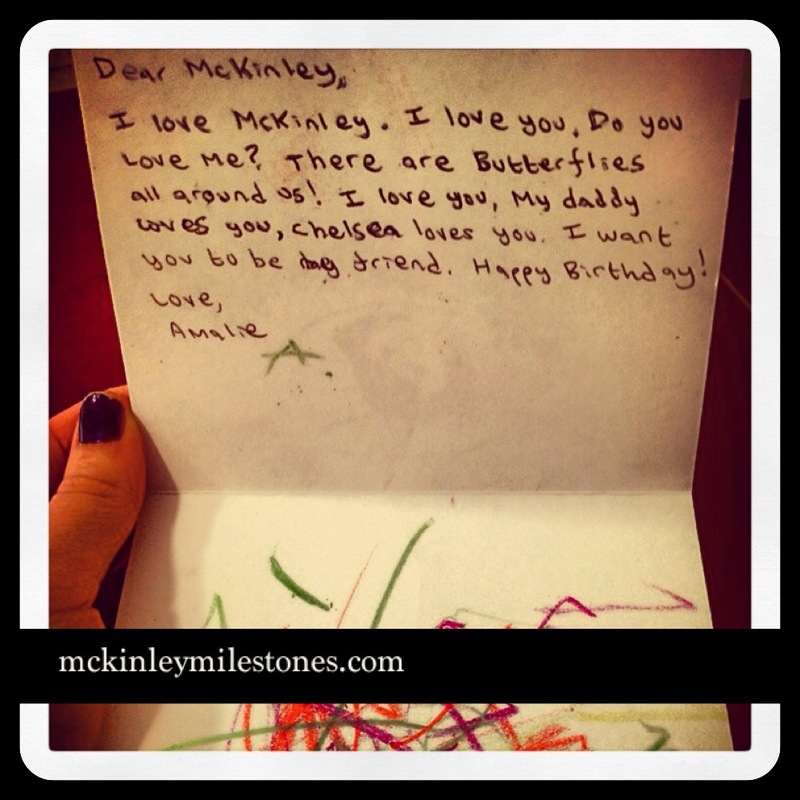 Check out the adorable note Amalie wrote to McKinley for her birthday. The cutest thing ever right? I smell friendship & lots more play dates. Thank you for such a special time Amalie! McKinley is excited for the next play date!